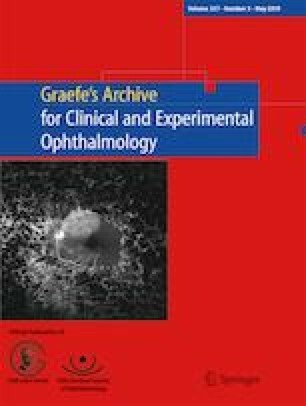 To assess the visual outcomes and ocular safety when implanting diffractive trifocal intraocular lenses in a population of high myopic eyes. This is a retrospective cumulative clinical study. Two hundred five myopic eyes consecutively operated in the hospitals of Clínica Baviera, Spain, were included. All eyes presented an axial length equal or greater than 26 mm and were treated and examined following the same methodology for at least 2 years. Refractive and visual outcomes and also intraoperative or postoperative complications were tabulated for later analysis. Furthermore, a subjective questionnaire was completed by all patients at the end of the follow-up period. The percentage of eyes that lost two or more lines of corrected distance visual acuity (CDVA) was 5.9%, 11.5% and 10.7% 3, 12 and 48 months after surgeries respectively. However, 33% of eyes gained two or more lines of CDVA 2 years after implantation. Excimer laser correction of residual refractive error was performed after implants in 29.75% of eyes. Uncorrected distance visual acuities (UDVAs) were significantly better 1 year (0.10 ± 0.3 logMAR) and 2 years after the surgeries (0.10 ± 0.14 logMAR) compared with those estimated 3 months postoperatively (0.14 ± 0.15 logMAR; Kruskal–Wallis; p < 0.001). Mean near and intermediate uncorrected visual acuities remained stable from the first to the last postoperative visit (Kruskal–Wallis; p > 0.05 for all comparisons). Of the eyes, 27.31% were diagnosed and treated with yttrium aluminum garnet (YAG) laser after being diagnosed as having posterior capsular opacification. Retinal detachment (RD) was diagnosed in six eyes (2.92%). Diffractive trifocal IOLs have good efficacy and predictability in high myopic eyes. Retinal concerns should lead the surgeons to explore other alternatives for refractive surgery in young patients without cataracts.